West Midlands speedway outfit Cradley Heathens have warned that they might have to close down just five years after being reformed. The Heathens say they 'cannot continue' under the existing management structure of the consortium which, in 2010, revived the world-renowned 1970s club. "It is a very difficult thing for us to do," said a consortium statement. "But, unfortunately, at this time we cannot continue for both business and personal reasons." National League: Birmingham finished top of 10 teams in the 'third' division, ahead of Cradley (third), Coventry Storm (fifth) and Stoke Potters (10th). The statement added: "It is our intention to do everything we can to allow the club to continue under new management rather than close down." After finishing third in the National League behind the reformed Birmingham Brummies, who finished the season as champions, the Heathens are now in need of new management if they are to continue. A meeting has been arranged with the interim board of the newly-formed Heathens Supporters Trust, but there is a fear that next week's cup tie with King's Lynn at Perry Barr on 14 October might be their last. The Heathens, who closed down after losing their Dudley Wood track in 1995, raced at Monmore, Wolverhampton, for their first four seasons back in the speedway fraternity, while seeking a new home. 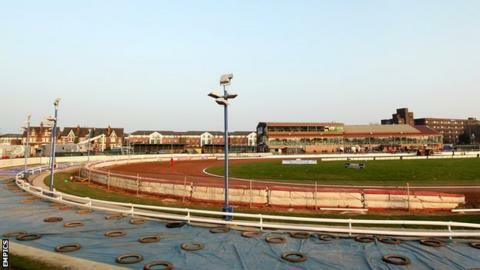 After Monmore's owners, Ladbrokes, decided to allow only one night of speedway each week, the Heathens moved to the Perry Barr greyhound stadium, which they shared in 2015 as co-tenants with the Brummies. "The announcement that Cradley's management are seeking new owners is an important moment for what has been a highly successful revival. "There is no questioning the will among fans and many around the speedway community for the Heathens to continue, even though they as yet still have no home of their own. "A Heathens Supporters Trust has been set up and may be the most obvious route to keeping the club going, if the funds can be generated." "The Heathens' statement has come as a complete surprise to us. We're disappointed that we found out about this through their press release and that nobody from Cradley Speedway contacted us about the situation. "However, we would like to emphasise categorically that their decision to look for new management for next year has no bearing whatsoever on the future of Birmingham Speedway. "Throughout the season there has been plenty of rumour that the only reason Birmingham were running in 2015 was because of the track sharing agreement between the two clubs. "This has not once been the case in any way, shape or form. While a decision is yet to be made on which league it will be, Birmingham will without question be back at the tapes in 2016."